I know what you've been thinking: "When is he gunna tell me about the world's biggest banjo?" "The neck holding five fiber optic strings is 47-feet long. A true replica of a collectible Gibson banjo, the huge fiberglass shell has a sturdy frame of over 3,000 pounds of steel." Perhaps Gibson's factory in the Opry Mills Mall in Nashville (top) holds the record instead. The search continues ... By the way, see Cecilia Conway's book for an extensive analytical treatment of the features that constitute the essence of a banjo. Astronomy has always been my first love, so people sometimes ask me what causes sundogs, rings around the sun or moon, light pillars, etc. I used to say, "Uh, it's ice crystals." That seemed to satisfy most people. But when I read the book "Rainbows, Halos, and Glories," I learned what it really meant — how, exactly, ice crystals cause the various spots, arcs and rings you see in the sky from time to time. Suddenly the whole sky really came alive for me all over again. They're caused by ice crystals shaped like hexagonal plates — like thick-ish stop signs, miniaturized. These little hex plates fall through the air with their faces parallel to the ground. So, picture billions of tiny quarters made of ice, all falling either "heads" or "tails", not standing on the edge. As they fall, the sun reflects off their faces and edges, and also passes through them making prismic colors (or not), depending on the angle of the sun and the angle from which you view them. There's one particular angle that's really sweet — an angle at which the sunlight passes horizontally right into the edge, along the plate's face, and with the plate rotated "just so". At that angle, the ice crystal passes a nice rainbow through itself. It turns out that various other angles are also "sweet" for different reasons. And ice crystals can have different shapes — for example, hexagonal cylinders, like pencils — which, in turn, creates a huge variety of wild arcs and rings and spots, which you can see if you are both lucky and alert. Visit Les Crowley's beautiful site on Atmospheric Optics or read "Rainbows, Halos, and Glories." The verses of the song obsess over the lonesomeness and poverty that result when dead parents leave orphans behind. And its chorus prays for those orphans to muddle along until they themselves "all reach that glittering strand" — that is, until the orphans too are dead. It's hard to think of a more pessimistic sentiment. It lays everyone to waste. But then, come to think of it, so does Death. Doesn't Death turn almost everyone into orphans eventually? And don't most of us wind up orphaning children of our own, in turn? Remember: the Carters sing it with an irresistible jauntiness. It's amazingly common for the old folk/blues records of the 1920's to have some kind of startling friction between their "sound" and their meaning. So often, the performances seem to have a kind of public face at odds with an interior life, revealed only when you take the time to really think about them. That is, what you notice on first listening (the arrangement, the key, the affect of the singers, etc.) begins to seem alien to the song once you've paused to "get" the lyrics. I'd like more of this in contemporary music, please. I'll write more about it on another day. There's nothing explicitly about science in the songs on The Anthology of American Folk Music, even though I've named this science/music blog after an illustration on The Anthology's cover. 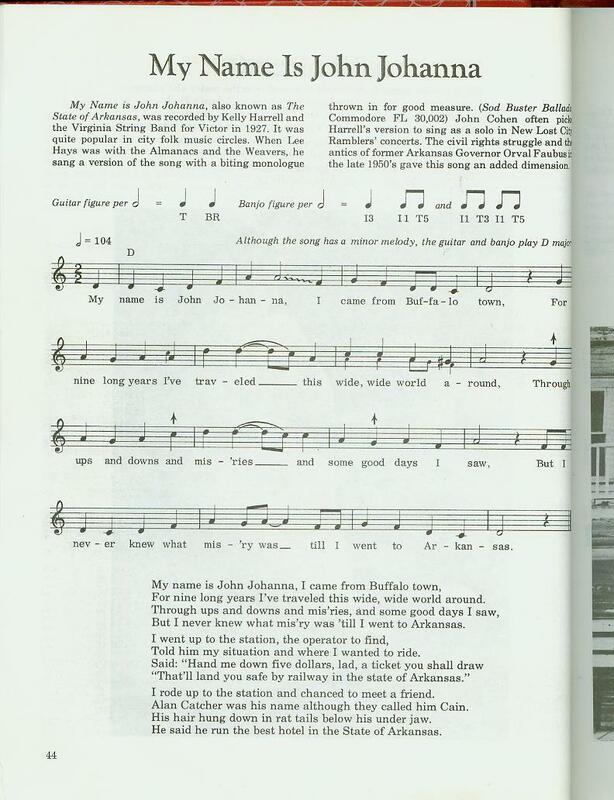 The closest thing to an exception I can recall is Kelly Harrell's "My Name is John Johanna," a song about what a rotten place Arkansas is ( ... alleged to be). After listing the horrors he witnessed there, the singer vows that if he ever sees Arkansas again, it'll be through a telescope. It's a funny line to me, I suppose partly because I'm used to thinking of telescopes as a way of overcoming distance, not of enforcing it. 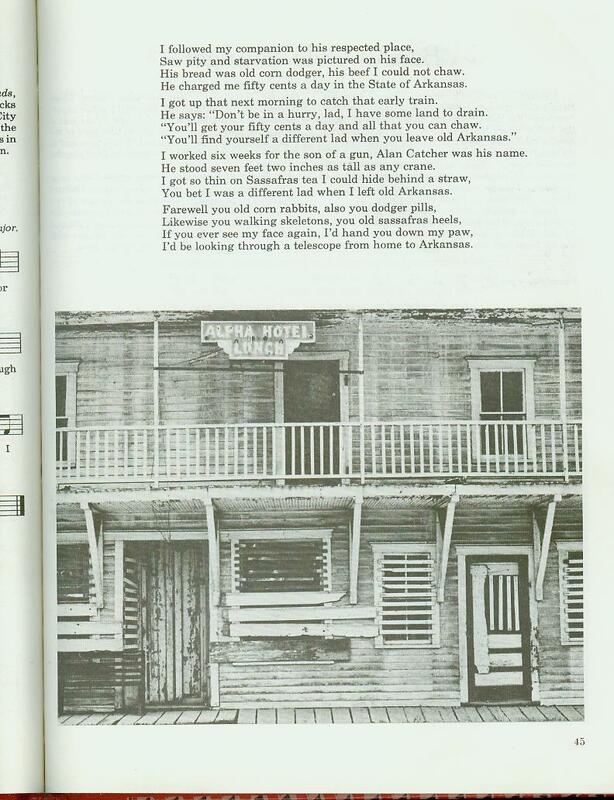 For lyrics, see Page 1 and Page 2. In the early stages of my ... condition, I had a CD changer that held six CDs. I'd put the entire Anthology of American Folk Music on repeat, place a speaker next to my pillow (since the original 78s were in mono, one speaker would suffice), and just let The Anthology seep all the way deep down into my skull while I slept, soaking the reptilian core of my brainstem, all night long, every night, for months. After a while, I expected Amnesty International to break down my door. The next CD I bought after The Anthology was Dock Boggs' 1960's recordings. I brought it home, put it on the stereo, and when "New Prisoner's Song" came on, I burst into tears, just sobbed openly for a while ... until I suddenly thought, "My musical tastes have CHANGED." Maybe it was like admitting to yourself for the first time that you're gay — realizing you're someone other than who you thought you were. I mean, what should I tell the wife? The judge will surely side with HER! You should really be careful what music you mainline directly into your subconscious. Of course, maybe it's me ... I can't help but hear Pete Seeger's “Well May the World Go (When I’m Far Away)” as at least two songs in one. Is the narrator of “Well May the World Go” about to die? Or is he an astronaut? After all, Seeger based the song on an old Scottish tune (maybe a sea chantey) called "Weel May the Keel Row," which bids a bon voyage. 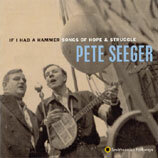 Was Seeger thinking of death or space travel when he decided “The World” would somehow stay behind? To my ears, “Well May the World Go” is a fine anthem for NASA’s manned space program. The song’s aims are like those of the program I thought I knew as a youngster – to reintroduce us to our own planet as a beautiful place, to collapse vast distances, to wish the world well. NASA still seems to want to be seen this way, and many of its employees are kids like me who never fully grew up. “Well May the World Go” still lurks somewhere in the gaps of NASA’s bureaucracy. So why not really adopt the song as an official anthem? The trouble, from NASA’s point of view, would not just be that Pete Seeger has always been a proud resident of the blacklist and a sworn enemy of American missiles. The still bigger problem would be that the song is too apt. The manned space program has come to be haunted by Death, always there on the buffalo side of the coin. Many of us already think the risk to human lives and the measly return on investment make the manned space program a dinosaur. — Words by Pete Seeger/Stormking Music, Inc.
You may know the great Minnesota bluesman Spider John Koerner as a character in Bob Dylan's recent book. He's portrayed there as, essentially, "the other guy" around Dylan's university neighborhood who, in 1960, played the accousic guitar and tried to sound 45 years older than he really was. Well, now John really is 45 years older than he really was, and you can still find him playing in bars near the same old Dinkytown neighborhood, sounding better than ever. The City Pages now confirms the obvious — Koerner is an amateur astronomer. This great bearer of the folk-blues tradition is also a "StarGeezer." Since tonight marks the premier of a new documentary about him, "Been Here, Done That," it's a good day to award Spider John the coveted Monochordum Mundi, given to those who best represent the fusion of science and music we're looking for here at The Celestial Monochord. Go to Spider John's website and try clicking on the pictures of him there.